What Does it Mean for a Life Insurance Policy to Mature? Maturity of your insurance policy is looked at as neither positive nor negative, but it is important to understand what exactly it means and how it pertains to your financial plans/future. A “maturity date” pertains to two forms of life insurance policies, such as a term insurance policy or a permanent life insurance policy. A term life insurance policy usually covers you for a number of years and then ends, while a permanent life insurance policy is called a whole or universal life insurance policy that ends at certain ages between 95 and 121. The entire concept behind maturity of an insurance policy derives from a different type of life insurance called an endowment policy. To begin, what exactly is an endowment policy? An endowment policy is a life insurance policy that matures after a specified amount of time, typically 10, 15, or 20 years after the policy was purchased, or after the insured individual reaches a certain age. If the insured person passes away before the policy matures, then death benefits are paid to the policy’s beneficiaries. If the insured person lives past the maturity date, then the cash value is then paid to the insured. The amount can vary and may be the same amount as the death benefit, but that does not mean it always will be. This form of life insurance is much more costly because it is supplied in a short time period, and these kinds of policies are used as a way of paying for younger individual’s college tuition. A similar form of life insurance would be a whole life insurance policy. A whole life insurance policy is basically an endowment policy with a maturity date that has been extended, usually to ages 100 or 121, which are ages that only a few people will be able to achieve. These premiums are less costly than an endowment policy, and they are also guaranteed not to change. These premiums are also only paid for as long as the policy is in effect, in which they accumulate a cash value. Cash values are adjusted so that they equal the death benefit upon maturity. If the person ends up living to the policy’s maturity date, the policy pays the cash value amount in a lump sum as an endowment to the ensured. This is often labeled as a hybrid of both a whole life and term life policy. Universal life insurance policies are a less costly form of insurance that builds a cash value while also covering the insured individual for life. However, the cash value and the death benefit are not linked together as they would be within a whole life insurance policy. Therefore, if the insured lives to the maturity date, anywhere from ages 95 – 121, the policy will pay the cash value to the insured as an endowment, but this may be a significantly lower amount than the death benefit that your beneficiaries would receive. Endowment income, which is the amount of an endowment less the premiums paid by the insured, is to be considered a form of regular income, which is then taxed at that rate. With that being said, life insurance benefits are not considered taxable. The individuals who purchase whole and universal life insurance policies usually expect to pass away before their policies mature, and the beneficiaries are then paid benefits that are free of tax. If they end up surpassing the maturity date, then they will receive endowments, which are reduced through taxes as they are issued. Overall, most insurance companies in the United States are persuading policyholders to extend policies past the maturity date, if they end up living to it, and not pay the lump-sum endowment. While these options all sound beneficial and could potentially mean you receive a large sum of money on your 95th birthday, there are drawbacks to consider as well. Some examples of this would be that it puts you into a higher tax bracket for the year, you could potentially come out with less money if you have taken loans or withdrawals from the policy, and the maturity cash value will be taxed – while your death benefit would not have been. Deciding what route you want to take is all about what you foresee for your future and what you wish to provide for your family down the road. Choosing the most beneficial life insurance policy can be challenging, and you are not the first person to face this obstacle. 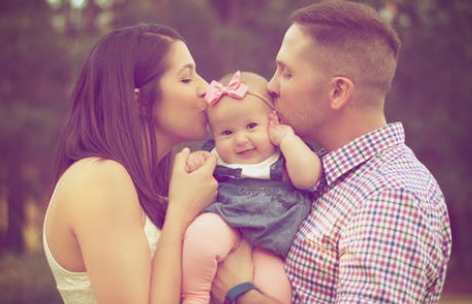 There are many benefits associated with having either a term life, whole life, or universal life insurance policy, and you should speak with a life insurance agent before making any permanent financial decisions pertaining to your future.